Babies and young children may be injured in an unsafe cot. To help reduce the risk of injury to babies and young children, household cots must meet certain design and construction requirements, pass impact, strength and durability tests and have warning labels attached. What is the product safety standard for household cots? The Product Safety Standards (Household Cots) Regulations 2005 (Regulations) set sections of safety standard AS/NZS 2172:2003 Cots for household use – Safety requirements with amendments as the product safety standard that suppliers of new and second-hand cots supplied in New Zealand must comply with. What types of cots are covered? A cot is defined in the Regulations as a free-standing product with raised sides and ends that is designed as an enclosed sleeping facility for an infant or a child. 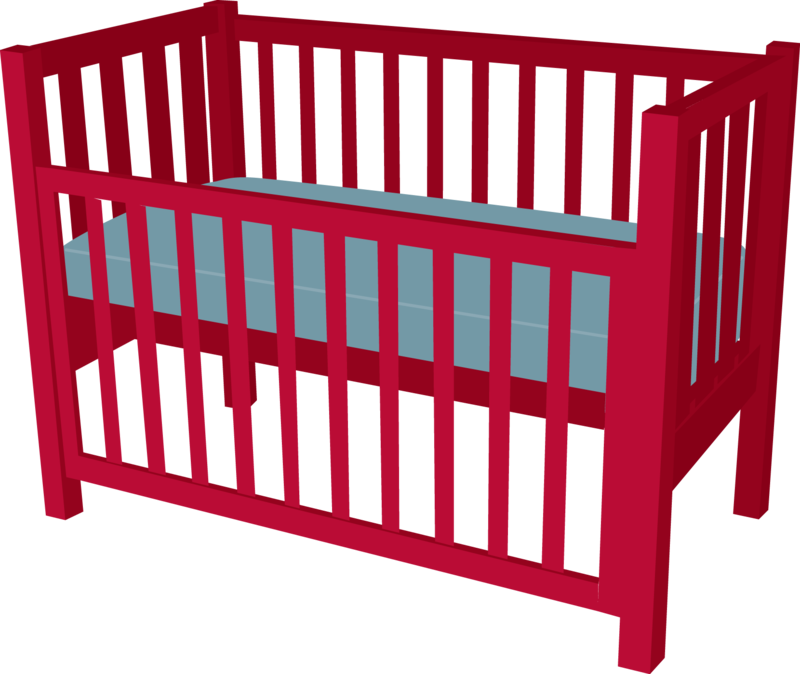 The rules apply to new and second-hand cots designed and intended to be used in the home for a child's or infant's sleeping use. Cots used outside the home, for example, in hotels, motels or day care centres, that are the same as those used in the home are also subject to the product safety standard. antique or collectible cots, as long as they carry a warning label that is easy to read and displayed on the cot where it can easily be seen. The warning label must state: WARNING: THIS COT MAY NOT BE SUITABLE FOR USE AS A SLEEPING FACILITY FOR INFANTS OR CHILDREN. If you supply, offer to supply or advertise to supply new or second-hand cots, you must comply with the product safety standard. The rules apply to retailers, importers, distributors, manufacturers and private sellers. Offering cots for lease, rent, or as a gift are also types of supply and these cots must also comply. The product safety standard sets out the design and performance requirements that a cot must meet and the tests that a cot must pass to ensure it complies with the standard. In addition, new cots must have warning labels. The safety requirements differ depending on whether the cot is new or second-hand. Cots must meet requirements relating to the following. All components of the cot must be either permanently fixed, require a tool for putting together or taking apart, or require a method of assembly that cannot be tampered with by a child within the cot. the distance between the floor and the cot's bottom rail at its lowest point must not be less than 50mm. There must be no structures or components that could be used by a child to get a foothold or toehold for climbing. The cot's design and fastenings have to allow free movement of the dropside of the cot – the dropside guides have to be firmly fixed. There must be either two fasteners or a system that requires two separate but simultaneous actions to access the cot. The bottom edge of the lowest rails must not be higher than the top of the mattress base. Nothing on the cot can protrude more than 5mm, unless it is designed so clothing cannot be caught on it. There must be no sharp edges or points on the cot that could risk injury to a child, or that clothing could catch on. The cot must have a swing tag that states the recommended mattress size and the manufacturer's name and contact details. New cots must come with an information leaflet that provides clear and complete assembly and maintenance instructions. This should include the recommended mattress size, a warning about the correct height adjustment for adjustable cots, the manufacturer’s, importer’s or distributor’s name and contact address and guidance on the general safe use of the cot. There must be manufacturer's information and warnings relating to the mattress size permanently marked on the mattress base. Who is responsible for making sure the cots I supply are safe? It is your responsibility to ensure the cots you supply are safe. You should not assume that a cot complies with the product safety standard simply because a supplier has offered to supply it to you. If you have any concern about the safety of the cots you have for sale, do not sell them. Confirm first with your supplier that the cots comply with the product safety standard. The best way to prove this is for your supplier to provide you with a copy of independent test results. You can also arrange for your own testing. If you sell a non-compliant cot, you could place a child at risk of injury. You will also have breached the Fair Trading Act. It is an offence under section 30 of that Act to supply, offer to supply or advertise to supply household cots that do not comply with the product safety standard. You may also have to conduct a recall of any cots that you supply which do not comply with the standard and the regulations. Information on carrying out a product recall is available from the Consumer Protection website. Who sets the product safety standards?